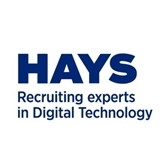 Hays have teamed up with leading property company Mirvac in their search for a Senior Angular 4-6 Engineer. Mirvac have an exceptional reputation in Sydney and offer a flexible working environment whilst utilising a bleeding edge tech stack. They need a Senior Angular 4-6 Engineer to complete a short-term assignment starting immediately.